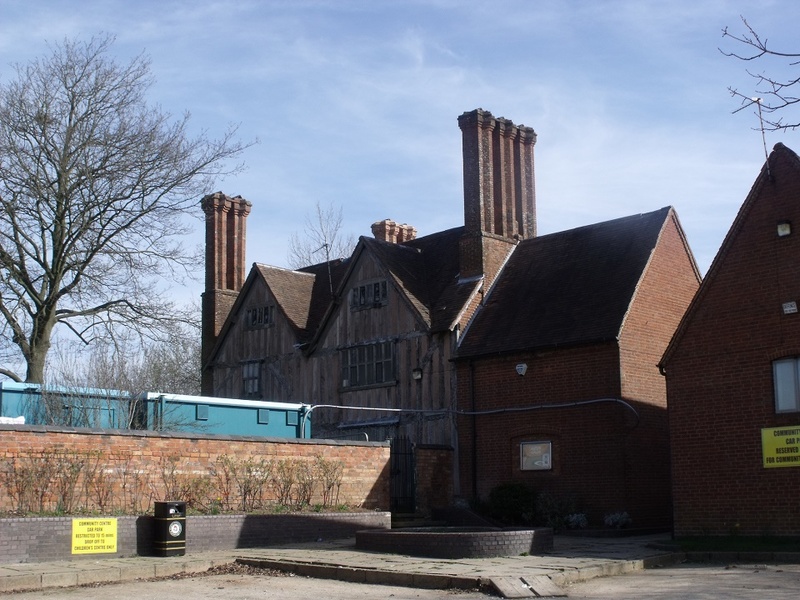 In 2011 Birmingham Conservation Trust commissioned an architect’s Options Appraisal of Bells Farm in Druids Heath, funded by Historic England (was English Heritage). The appraisal, which was match-funded by the City Council helped to assess the state of the mid 17th-century farmhouse, and establish a long-term restoration and maintenance plan for the building. The timber-framed farmhouse is Grade II* listed. It was in a state of chronic disrepair when BCT were brought in to help. It had been at least 30 years since any significant works have been carried out – and it was suffering the effects of fire damage from a blaze in the 1980s. Poorly repaired windows were letting in water, there were holes in the roof and rising damp in some areas. Birmingham City Council had set aside £300,000, some of which paid for repairs to the roofs and windows at the front. But the Trust was particularly concerned about the rear wing, where scaffolding needed replacing and timbers, which had been left exposed to the elements, had begun to seriously deteriorate. The architect’s Options Appraisal made it possible to apply to English Heritage to match Birmingham City Council’s c. £300,000 funding. This enabled the city council to carry out the restoration of the rear wing and repairs to the roof. This was completed late 2012. The building is owned by Birmingham City Council and managed jointly by the Council and The Spearhead Trust (a registered charity). It hosts a wide range of community support groups and training events for small business and professional groups. Click HERE for more details. According to research carried out by The Spearhead Trust, a building matching the description of Bells Farm is mentioned as far back as the Doomsday Book. It is thought to have derived its name from Hugh De Belne, who was granted land in the area by Edward I ‘for services as an excellent archer’ in or around the year 1300. Records show that the Bells estate was paying taxes throughout the Tudor period and the oldest timbers in the house date from the period of the English Civil War. 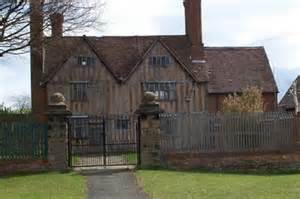 In 1666 it was recorded as having seven hearths, indicating its significant size – as most farmhouses at that time would have only had one or two. The building was in use as a farmhouse until 1976, but was then left empty and fell prey to vandalism. In 1978 more than 1,000 local residents signed a petition to save the Bell’s Farm from demolition and the Bells Farm Community Association was formed to use the building. In 2008 the Association was merged with the Spearhead Trust. The new charity, The Spearhead Trust at Bells Farmhouse, then entered into an agreement with Birmingham City Council to manage Bells Farm. Like most of the correspondents I have stumbled across this website and having lived in the area all my life. We moved to the maypole in 1946 and lived in the house on the corner of Druids Lane and the Alcester Road.The Bookie referred to earlier used to park his car on the wide verge adjacent to our hedge. a detail is that it was a Triumph Renown, the bigger sister to the Mayflower. The farm opposite the end of Crabmill Lane was Maypole Farm and was farmed by Mr Percy Warren but I think owned by Taylor Estates of Birmingham. He moved there just after the 2nd war, and I am sure there is an old 16mm film made by British Railways about the move. Perhaps an avid researcher might be able to unearth this. The farm referred to “over the brow of the first hill in Druids Lane was Kingswood Farm, farmed by Mr Bob Hooper who was also an agricultural contractor. The gun site was part of this farm and access to it was from Crabmill Lane.Although now the site is very overgrown I’m sure the gun foundations will still be there as they were when I was a kid playing over there. The foundations were huge, about 15 feet diameter concrete circles with large 2 inch diameter bolts sticking up.The tank ramps referred to were to give greater elevation to the aircraft tracking equipment used then. For many years the filter beds for the sewage treatment works for the accommodation could be seen in the field adjacent to the no.50 bus terminus in Druids Heath.The area has just gone up for sale but still remains unsold. Any future purchaser will have great fun digging out the foundations, Bob Hooper never bothered because he said it wasn’t worth the effort.